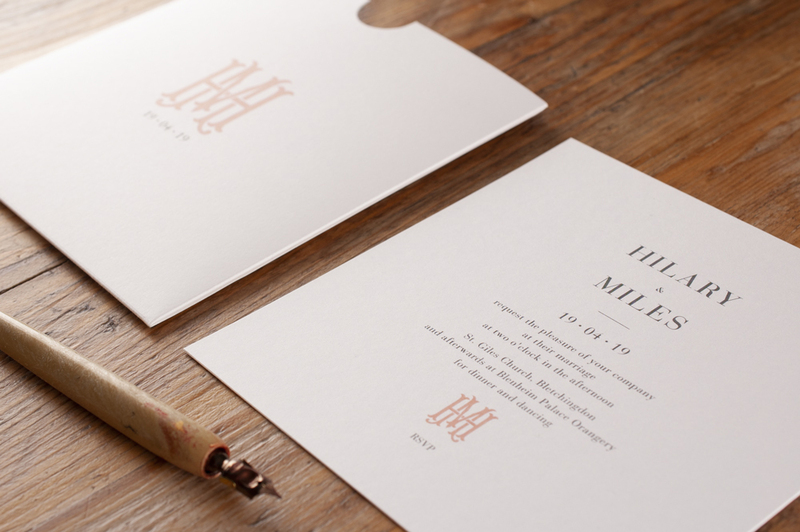 Classic Wedding Invitation with Personalised Monogram - The Morgan Style — The Cardlab Letterpress Co.
Digitally Printed in a selection of colours, this design includes a thumb cut pocket featuring a monogram of your initials and an Invitation insert. 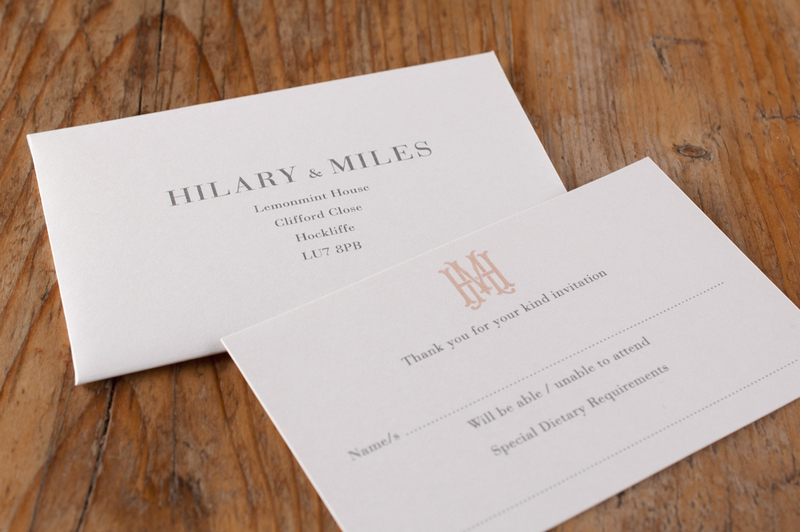 The ink colours can be customised to suit your colour scheme. 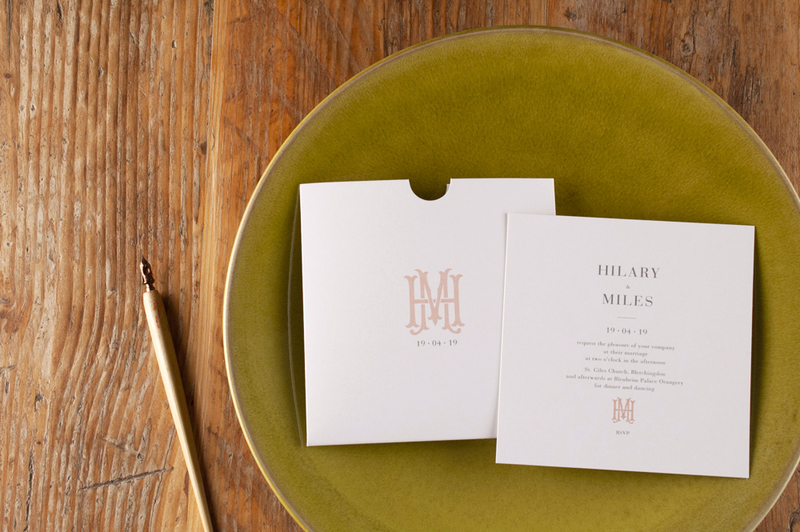 Likewise the typefaces and motifs can be tailored to your preference, making each order unique to each couple. 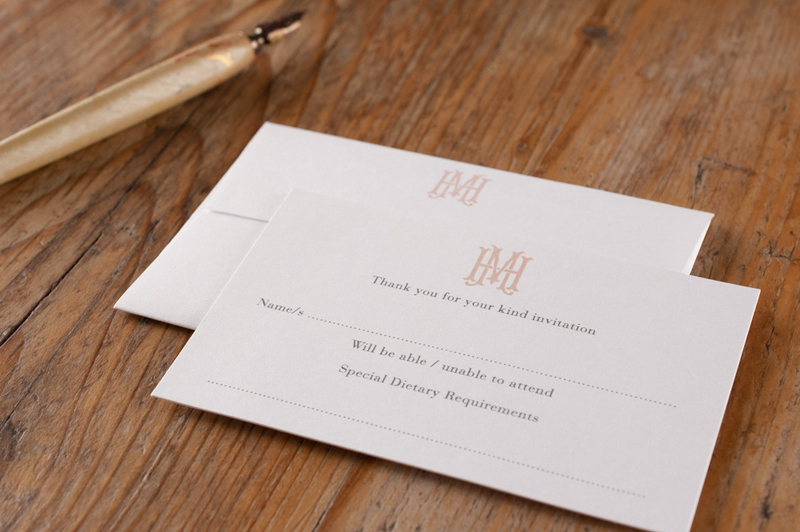 With so many bespoke options it can be difficult to visualise how your invitations will look. 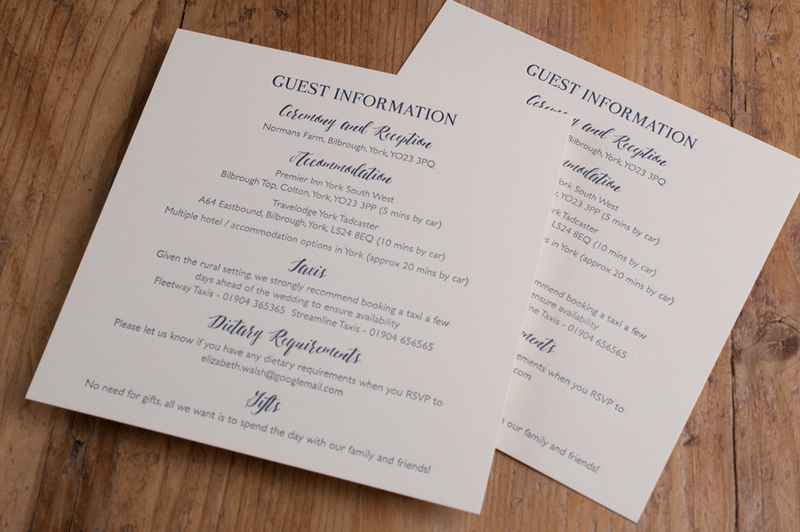 Which is why we offer free full-colour PDF proofs, so you can see your design & play around with ideas before approving them for print. Includes the full specification for the Morgan Design as well as co-ordinating accessories and alternative colours & styles.